Tag Archive | "Hurricane Irene"
As Hurricane Irene struck New Jersey, hundreds of thousands of residents lost electrical power. 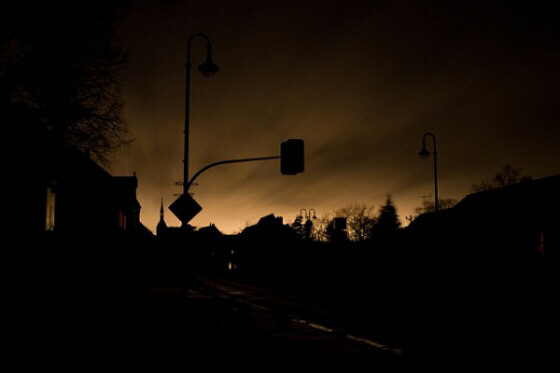 While the loss of power was a significant inconvenience for all, it represented a more significant threat to property for some. I fell into that latter category. At the outset, I’ll admit that I did not take the forecasts and media barrage about the Hurricane seriously enough. I believed that its impact would be primarily felt in shore areas, with significantly less impact to inland residents of New Jersey and other Eastern Seaboard states. As the Hurricane made its ascent up the East Coast, Central Jerseyans began to feel its effects on Saturday afternoon. As afternoon wore into evening, bands of rain – often torrential – blanketed the area. Winds, although nowhere near hurricane force, picked up and frequently gusted to tropical storm force. Living in a heavily wooded area, I knew that toppled trees and limbs were likely to disrupt power due to downed lines. What I did not count on was the number of uprooted and fallen trees and the widespread nature of the damage, even in significantly less heavily wooded areas. Here’s where my story begins. I made dinner, relaxed Saturday evening, and went to bed about midnight. At 1:30 AM, I was awakened by what appeared to me as a popping sound. Sure enough, power had ceased in my neighborhood. Grabbing a flashlight (the height of my preparation for the storm), I looked around the house and peered outside to see if any trees had fallen on my property. Everything seemed to be alright until I got to the basement. There, I found that water was already beginning to rise in the area of my sump pump. Now, I should mention that I do not have battery backup on my pump, nor do I own a generator. In either of those cases, my concern would have abated. I immediately began bailing water into a utility sink in my basement. After thirty minutes, I could see that this would be a long night of bailing and also that bailing alone would not stem the tide of the rising water. My washer and dryer are elevated on blocks and my furnace and water heater are at the highest point of my basement. So, I reasoned if I could keep the water level to less than six inches in the area of the pump, I would survive the storm with relatively little damage in the basement area. Fifteen minutes later, I headed upstairs for a short break, when I noticed headlights outside my next-door neighbor’s home. Looking out the door, I could see that it was municipal truck and that my neighbor (a municipal employee) was pulling something from the truck into his garage. A short time later, I heard the sound of a generator coming from the garage. Hoping that I might enlist some assistance with my basement water problems, I made the 100 foot trek toward my neighbor and his municipal truck. Not prepared to ask pointblank for assistance, I asked him if, in his travel through the town, he had seen any power company (JCP&L) trucks in the area and casually mentioned that my basement was beginning to fill with water. He indicated that he hadn’t and that his basement already had six inches of water. I returned home and bailed until about 11:30 AM (with a couple of bathroom breaks and about a 45 minute nap thrown in). At the point of exhaustion and still listening to the droning of that generator sitting just 100 feet from my dormant sump pump, I summoned the gumption to walk over, knock on the door, and pop the question (no, not that one, the other one). He informed me that the generator (which I believe to be township property) had just three sockets and just enough juice to power his sump pump, refrigerator, and freezer. I suggested that if I could just plug in for 15 minutes, I could probably dramatically reduce the amount of water in my basement. Unfazed, he indicated that he had to go to handle some municipal business. 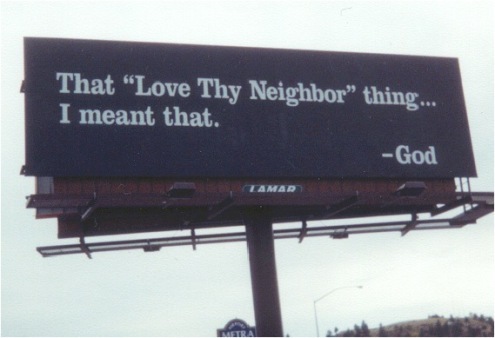 But, what does it truly mean to love thy neighbor? I have always considered my neighbor to have been good to me. He has never refused to lend a hand when asked. This refusal, when I was in the most desperate of circumstances, seemed to me to be out of character. Or, was it that these unusual circumstances brought out my neighbor’s true character? I had plenty of time to ponder these issues as I continued bailing water from my basement. As the afternoon wound down, I noticed that I was actually making some headway in my efforts. Apparently, God had intervened in my favor and the addition of new water had stopped or slowed to a trickle. Taking a much needed nap for over an hour, I returned to find that not much had changed. And, that was good news! Still intent on finding a way to get my sump pump working if only for a short while, I was on my driveway when my neighbor pulled up in the municipal truck and jumped out – this time wearing waders. He apologized for his demeanor of earlier in the day and indicated that he had been under enormous pressure, what with the water rising in his basement and his need to save the food in his refrigerator and freezer. Having said that, he left to attend to municipal business with still no offer of assistance. I have to admit that I thought to myself how hollow his words appeared to me. Perhaps I’m wrong, but I thought that unplugging the freezer for 30 or 40 minutes and permitting me to plug in my sump pump would have had absolutely no impact on my neighbor, but done a world of good for me. At this point, that’s all water under the bridge (all puns intended). Today, I’m working and when I return home expect that my basement will have no more water than it had this morning. And, if the power ever returns (I truly don’t understand the lethargic emergency response of my municipality and power company – an article for another day), I’ll be able to dry and clean out my basement. But, I’m still plagued by what it means to love one’s neighbor as yourself. Did I expect too much of my neighbor? What kind of a neighbor have I been to others? (Remember, the Bible defines your neighbor as virtually anyone). Perhaps someday, Jesus will explain it to me face-to-face.